Break out of your confines! 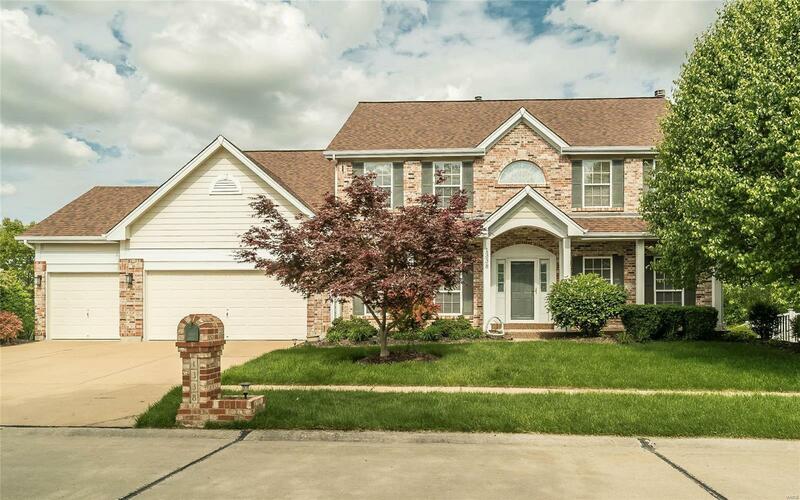 Space will never be a problem in this 4BR, 4000 finished SF two-story located in Westhampton Woods, a neighborhood of well-maintained homes & lawns! 4.5 baths make mornings easy on the family while a giant eat-in kitchen, two-story great rm, vaulted hearth rm, finished walk-out LL & two-tier deck make entertaining fun! Step-saving kitchen design is perfect for Momâs busy mornings with 42inch cabinets, solid-surface counters, gas cooktop, 2 ovens, microwave & desk too! Vaulted master suite has His&Hers walk-in closets & bath with whirlpool tub, separate shower & dual sinks. 3 addl BRs upstairs; 1 ensuite and 2 sharing Jack&Jill bath. Rec rm, wet bar, office, hobby/fitness rm & full bath in walk-out LL. Spacious patio area & the private lot backs to trees, not neighbors! Main floor laundry. New roof & gutters 2016. Sprinkler system. 3 car garage. Minutes from Chesterfield Valley. Over-sized in everything but the price!